My preparations for the World Judo Games were somewhat limited due to my difficulties in accessing training. My Judo training sessions had temporarily been put on hold due to my other commitments and training requirements. Nevertheless, I packed my bags and flew off to Amsterdam. With competitors from all over the world, including Brazil, Sweden, Finland and USA, I was incredibly excited. I was feeling quite nervous about my weight target as I know that I wasn't where I needed to be. The week before, I had started to cut down on my carbohydrates in my diet and reduced my fluid intake. As I stepped on the scales on Thursday, I was very pleased to see 72.6kg - Just 0.4kg away from fighting much larger individuals. As soon as I weighed in, I started the process of re-hydrating and feeding myself to ensure that I had enough energy for the two competitions to come. Arriving early to the centre on Saturday morning, I was informed that I would be doing Ne waza as opposed to Tachi waza (groundwork instead of standing). I had only ever fought standing so was unsure of the rules however after a quick learning session, I was off! I was placed in the 'group 1 U73KG' group, which is the classification for the most able athletes, The classification groups for those with physical impairments are very fuzzy and I generally fight in group 2 however with the possibility of Ne Waza, it looked to be a fair fight. My first fight was against a strong, Dutch chap that I had previously fought. With the match only lasting 2 minutes, it's surprising how quick the time can go. I managed to turn him onto his back and subsequently held him for the required period of time to win. It was the first time that I have won in a first fight because generally, my nerves take over. I was excited, I was pumped for the second match and more importantly, I had put myself up for a medal. My second fight was against my fellow GB teammate. The World Champion in 2017 and a very friendly and talented young man. I naturally because very defensive and did not allow him to gain any points against me. Unfortunately, my defensiveness allowed neither of us to score and it was down to the referees to decide on who was attacking more. They handed out the three flags and it was no surprise that the refs decided 3:0 that my opponent had won. 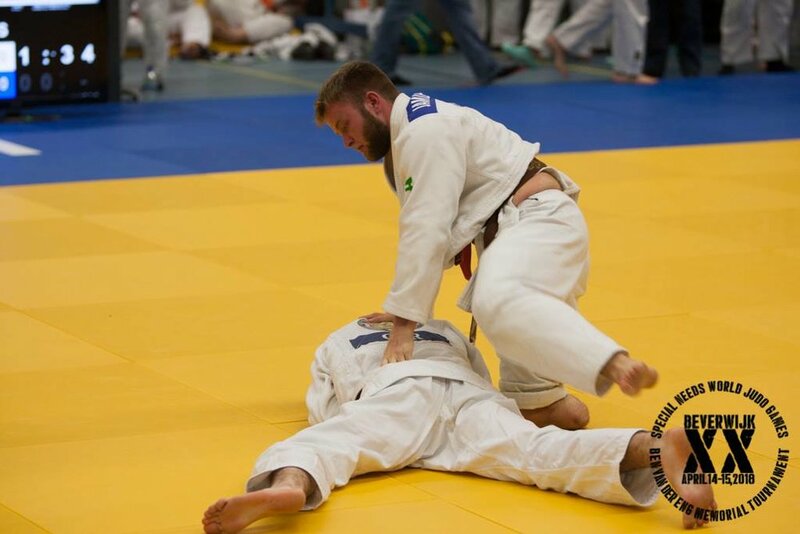 I knew that I needed to attack more for my third fight so I put that into action and managed to score an Ippon with a throw for an instant win. My fourth fight went down as a draw again with the refs deciding, 3:0, that my opponent should win. With two fights won and two drawn, but ultimately lost, I managed to secure myself a Bronze medal at the World Judo Games. I was happy with my performance and found some great areas to improve! I woke up the next day feeling very positive and calm for the next competition. I started my first fight and managed to win with a Wazari while my second fight was against the World Champion, and my GB teammate again. This time, I put more aggression into my fight and I have to say that it felt amazing. We both finished the fight feeling completely battered and knowing that we had put everything into it. Yet again, it went down to the ref's decisions and unfortunately, they decided 2:1 that my opponent should have won. 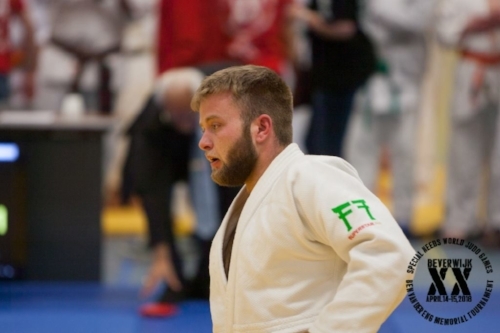 I felt as though it was a fair judgment and started preparing for my third fight, which I subsequently won with a throw for Ippon (instant win). My fourth fight was against the chap that I had competed against on the Saturday - my first fight that I won. The fight was going well until halfway through the fight, when I suddenly felt an intense pain in my left shoulder. My adrenaline kept me going as far as it would however my strength and mobility were ultimately not there and I ended up losing the fight. With one more fight to go, I came off the mat and hobbled over to the first aid desk to get some ice and to rest my shoulder. As I walked back over to the mat, I wasn't sure whether it was worth the potential injury to fight again. I didn't want any extra harm, especially given my busy annual calendar, but I was also conscious that I needed to win this fight to be up for Silver position. With medal potential, I jumped back on the matt. We bowed and 'hajime' (start) was called. I started to use my left arm however it was clear that there was no strength there. Somehow my opponent managed to gain a penalty and I remember thinking that I just needed to stall the fight until the 2 minutes was up so I would win. Unfortunately, that wasn't the case and he managed to hold me down while the spectators could hear my pain as I tried to push him off me with one arm. My loss in that fight meant that I went away with the Bronze medal again and an injury that is still very sore as I write this. After a trip to A&E a few days later, I have been told that I have severe muscle damage (and a black eye) and I am hoping to see a physio in the next few days to look at my chances of completing the London Marathon on Sunday. Overall, I had a fantastic weekend in Amsterdam, achieving two Bronze medals and gaining another 40 points towards my black belt, meaning now I have 70 out of the required 100. I've picked up on some great areas of improvement and once I have recovered from my shoulder injury, I'm really looking forward to getting back on the mat.